If we are to understand the make-up, proper function and the ultimate end of mankind, we must have a clear understanding of God. If we are to understand the redemptive program of God for mankind, we must have a clear understanding of God. Nowhere in the Bible do we have a section called "Godhood 101". Nowhere in the Bible do we have a section explaining Who God is, What God does, the qualities of God or His essence. Instead, we learn about God from two sources as presented in Psalms 19 . Verses 1-6 give us information about God by what He has done. Verses 7-10 give us information about God by what He has said, His Word. These two facts are seen throughout the Bible. When used properly and in harmony, we can gain unlimited understanding of God and His plan. 7 The law of the LORD is perfect, converting the soul; The testimony of the LORD is sure, making wise the simple; 8 The statutes of the LORD are right, rejoicing the heart; The commandment of the LORD is pure, enlightening the eyes; 9 The fear of the LORD is clean, enduring forever; The judgments of the LORD are true and righteous altogether. 10 More to be desired are they than gold, Yea, than much fine gold; Sweeter also than honey and the honeycomb. 11 Moreover by them Your servant is warned, And in keeping them there is great reward. 12 Who can understand his errors? Cleanse me from secret faults. 13 Keep back Your servant also from presumptuous sins; Let them not have dominion over me. Then I shall be blameless, And I shall be innocent of great transgression. 14 Let the words of my mouth and the meditation of my heart Be acceptable in Your sight, O LORD, my strength and my redeemer. We can learn and continue to learn a great deal about God by properly observing His "handiwork", the creation of all things. However, we MUST be careful in this area!!! As a human, it is easy to be overwhelmed by what God has done AND draw our own conclusion as to the significance of His handiwork. By so doing, we can become blinded to what God has said. When our focus is ONLY on what God has done, that process will blind us to Who God really is. When we really know Who God is, then we will be motivated to know what God wants us to do and be, and how to have a proper relationship with God. This aspect of Who God is and our proper relationship with Him is ONLY seen in what God says through His Word. When we become totally focused on what God has done, without the proper balance of what God says, we will be driven by our human natures to either discredit God as God, and/or turn to atheism, agnosticism or one of the many other "a…godisms", OR we will pervert Who God is and therefore become cultish in our religious activity. Allow me to illustrate from the Word of God. 2 Peter 2:1 But there were also false prophets among the people, even as there will be false teachers among you, who will secretly bring in destructive heresies, even denying the Lord who bought them, and bring on themselves swift destruction. 2 And many will follow their destructive ways, because of whom the way of truth will be blasphemed. In this passage, we see people who did not properly seek the truth of what God said. As a result, they ultimately denied the Lord Who bought them. Because of this, they became one of the "a…godistic" class -- an atheistic, agnostic, etc. (1) These were religious people (among you vs.1). (2) These doctrines came in secretly (were not vetted or subject to thorough public examination). (3) These heresies or unvetted teachings were progressively destructive, with the ultimate end of denying (disavowing or rejecting) the Lord. (4) They, personally, brought on themselves swift (impending but sure and expeditious) destruction. (5) These unvetted teaching are exceedingly popular. (6) Because of these, the "way of truth" is blasphemed [evil spoken of] (vilified or spoken of impiously). These people of 2 Peter 2:1-2 did not seek the truth of "what God said". As a result, they turned away from God, as really being God. This is true of people whose focus is only to know God through the natural means. This is one reason some people who should know better, such as doctors, scientists, etc. who work with and closely observe the marvelous creation of God, YET, deny the existence of a God Who could or would make such creations. Even from human reason, a person knows that a physical body did not happen by chance, NOR the great expanse of universes happened as a result of a accident. A principle, taught throughout the Scriptures, is that if a person continually goes contrary to the revealed information from God, God turns that person over to their own debased mind, which then becomes a deep black pit of ungodliness. That is true of the Christian, as well as the unsaved! Romans 14:16 Therefore do not let your good be spoken of as evil; 17 for the kingdom of God is not food and drink, but righteousness and peace and joy in the Holy Spirit. 1 Timothy 4:1 Now the Spirit expressly says that in latter times some will depart from the faith, giving heed to deceiving spirits and doctrines of demons, 2 speaking lies in hypocrisy, having their own conscience seared with a hot iron, 3 forbidding to marry, and commanding to abstain from foods which God created to be received with thanksgiving by those who believe and know the truth. 4 For every creature of God is good, and nothing is to be refused if it is received with thanksgiving; 5 for it is sanctified by the word of God and prayer. When our focus is on the physical rather than the Spiritual, it will not be long until we depart from the true teaching of the Word, and concoct some teaching that may contain facts from the Bible, but does not have the truth of the Word as its object. However, it is false and very wrong when we say that eating or not eating certain food, marrying or staying single is the teaching of the Word of God, and therefore Spiritual. By the way, Satan used what God said about the physical to bring about the sin of Adam and Eve. Granted, Satan twisted what God said. Nevertheless, Satan DID use what God said and did as the "springboard" for the temptation of Eve. May we learn that just because a person uses or refers to what God said, does not automatically make that person a messenger from God. Sad to say, Satan, like many others, used what God said, but out of context and not in harmony with the totality of all that God said, AND Eve bought it. We will pull these facts together and see how they relate to the soul, and the reasons for the need of redemption, as this study progresses. Also remember, when our main focus is "what God has done", instead of "what God has said", we turn to atheism, agnosticism or one of the many other "a…godisms", OR we pervert what God said and turn to some form of cultism. For right now, please put those facts on the back burner of your mind, and let's review some of what we have already learned in these lesson, so far. Then let's add a few more facts to the mix, and THEN let's start to see how these two things, of "what God has done" and "what God has said", apply to mankind's sin and redemption. The Bible clearly teaches that there is only one God. Yet, the Scriptures also clearly presents God as three in personality- God the Father, God the Son and God the Holy Spirit. Christians in every age have struggled to understand and reconcile the unity or oneness of God, and His triune personality. The very existence of God is far beyond the realm of human thought and reason, therefore it is beyond the logic of the human mind. The fact of a Biblical God is so far beyond mankind's logic that is unreasonable and ridicules to human rational. To understand God or any subject in the Spiritual realm, we must first of all accept the fact of God, even though we do not possess, at the time, the understanding of that fact. That is called faith! Faith is believing and obeying what God has said. Look at what Christ said concerning this matter. John 7:16 Jesus answered them and said, "My doctrine is not Mine, but His who sent Me. 17 "If anyone wants to do His will, he shall know concerning the doctrine, whether it is from God or whether I speak on My own authority. We will or can  KNOW  the truth of His words. The subject of God is not unlike any other subject in some respects and entirely different in others. The more we know about God, from His Word, the more we can know of God, and the more we know of God, the more we can know and understand about mankind and God's redemptive program. Biblical understanding is an ever increasing cycle. In fundamental circles today, there is the attitude that if we know a systematic presentation of doctrine, we, at that point, have a complete knowledge of God's person and His Word. A systematic doctrinal statement is a good STARTING point, or a springboard to move on into the deeper things of God. 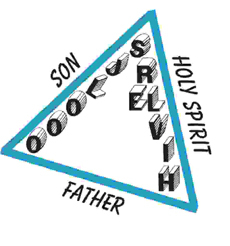 God is a Trinity in personality - the Father, the Son and the Holy Spirit. These are descriptive titles for our benefit and have to do with the role each plays in the plan of redemption. Even though God is three in personality, God is ONE in Essence. I have summarized the essence of God by 11 terms. However, these 11 terms only scratch the surface of Who God is and what God does. I must hammer home this truth continually, and you need to refresh your mind of this truth often, OR we will become unbalanced in our thinking of God as JUSTICE in which He, with pleasure, passes out judgment like candy, OR we may become unbalanced in our thinking of God as a LOVING "sugar daddy" indulging us with all our wants and demands. I will use these 11 qualities to describe the essence of God throughout this study, but please understand that there are not enough words in the English language to adequately describe God and His work. However, if we get a handle on these few descriptive terms as they relate to God, His person and His actions, we will have taken a giant step forward in our understanding of our God. by looking at some of what God did. The body of mankind was "formed" from the dust of the ground. God did not reach below the surface of the ground to get some rich "top soil" for this transaction. God did not reach deep into the earth to find precious stones or valuable metals. He took that insignificant element of the ground that blows from place to place. That "stuff" that covers our furniture and is a nuisance to be brushed away without thought. God used previously created matter, and fashioned or formed a body for mankind. Even before His Word was penned, God indicated, by the very fact of creation, that the main focus of humans should be on the soul and eternity NOT on the body and the immediate. Look back at Genesis 2:7 again, before you continue to read the lesson. Once God had fashioned that body, He BREATHED into those nostrils the breath of life. In this act of creation, God did not use any previously created matter. This breath came from His own being! Let me remind you, God does not breath as humans do. This is a literary form of ascribing to God a human trait, in order for the human mind to have some vague understanding of God or an action of God. It is called an anthropopathism. Therefore, this breath of God, infused into mankind, was not simply the material air that is essential to physical life. This breath was the essence that made mankind unique from all other created beings. For our study, we will refer to this life as the Soul or the image of God. In most translations of the Bible, this life from the breath of God is translated as "living being", but is sometimes called spirit, mind, heart, etc. (1) The Physical life made from temporal elements by the hand of God. Take a quick peek at some other passages showing the two different types of life within mankind. Ecclesiastes 3:18 I said in my heart, "Concerning the estate of the sons of men, God tests them, that they may see that they themselves are like beasts." 19 For what happens to the sons of men also happens to beasts; one thing befalls them: as one dies, so dies the other. Surely, they all have one breath; man has no advantage over beasts, for all is vanity. 20 All go to one place: all are from the dust, and all return to dust. 21 Who knows the spirit of the sons of men, which goes upward, and the spirit of the beast, which goes down to the earth? Ecclesiastes 11:10 Therefore remove sorrow from your heart, and put away evil from your flesh, for childhood and youth are vanity. 12:1 Remember now your Creator in the days of your youth, before the difficult days come, and the years draw near when you say, "I have no pleasure in them": 2 while the sun and the light, the moon and the stars, are not darkened, and the clouds do not return after the rain; 3 in the day when the keepers of the house tremble, and the strong men bow down; when the grinders cease because they are few, and those that look through the windows grow dim; 4 when the doors are shut in the streets, and the sound of grinding is low; when one rises up at the sound of a bird, and all the daughters of music are brought low; 5 also when they are afraid of height, and of terrors in the way; when the almond tree blossoms, the grasshopper is a burden, and desire fails. For man goes to his eternal home, and the mourners go about the streets. 6 Remember your Creator before the silver cord is loosed, or the golden bowl is broken, or the pitcher shattered at the fountain, or the wheel broken at the well. 7 Then the dust will return to the earth as it was, and the spirit will return to God who gave it. In Ecclesiastes 11:10-12 :2 The writer is speaking to and about youth. Starting in Ecclesiastes 12:3 , the focus is on old age, and the symbols are speaking of the deterioration of aging. With that act of creation by God, there was a being with a temporal external body, AND an eternal living soul occupying that body. Mankind was made in the "likeness" of God. The object, of course, was to become like God. This process of becoming "like God", as we will learn later, was a walk of faith. Faith is believing, obeying and therefore acting on what God said. Becoming like God is a process, not a single act. We have no idea how long this process, of becoming like God, was active in the Garden. We do know that God came to fellowship with them in the cool of the day. We can also see from the text that Adam and Eve had a desire to be "like God". It was on this basis that Satan brought his temptation to them to sin. Notice. Satan started his temptation from the Word of God, BUT ask Eve to defend and interpret what God had said. Remember our information come from two sources..
2 And the woman said to the serpent, "We may eat the fruit of the trees of the garden; 3 "but of the fruit of the tree which is in the midst of the garden, God has said, 'You shall not eat it, nor shall you touch it, lest you die.' "
Eve started off SO good. She used the Word of God. Her problem started when she tried to debate with someone who denied and was not willing to live by the truth. 4 And the serpent said to the woman, "You will not surely die. 5 "For God knows that in the day you eat of it your eyes will be opened, and you will be like God, knowing good and evil." Next, Satan deliberately contradicted God's word. At that point the conversation should have been over!!! Satan reinterpreted what God meant by what He had said. And Eve continued to listen. Then Satan turns the focus from what God said to what God did. Satan also planted the seeds of distrust in what God said, AND directed their trust to what God had done. Without living by what God said. modern Christian are looking for! Because Eve kept the conversation going with someone who questioned God's Word and then outright denied God's Word, she is NOW wide open for a Spiritual Fall. Psalms 119:11 Your word I have hidden in my heart, That I might not sin against You. Psalms 119:9 How can a young man cleanse his way? By taking heed according to Your word. 10 With my whole heart I have sought You; Oh, let me not wander from Your commandments! Please NOTE!!! There was nothing wrong with tree. It was a good tree. God said that everything He had made was good. What was bad was exchanging the precious eternal Word of God for a "good" tree. (note Rom 1:22-25 ) From now on, in this conversation, the Word is only a backdrop. This is very similar to the type of church program some would like. Oh yes, we should have a short devotional, BUT no long boring Bible study. Once Adam and Eve exchanged the precious eternal Word of God for a "good" tree, what God said never came to mind, again. Take a look at Rom1:22-25. Romans 1:22 Professing to be wise, they became fools, 23 and (ex)changed the glory of the incorruptible God into an image made like corruptible man - and birds and four-footed beasts and creeping things. 24 Therefore God also gave them up to uncleanness, in the lusts of their hearts, to dishonor their bodies among themselves, 25 who exchanged the truth of God for the lie, and worshiped and served the creature rather than the Creator, who is blessed forever. Amen. for the rest of this account. 6 So when the woman saw that the tree was good for food, that it was pleasant to the eyes, and a tree desirable to make one wise, she took of its fruit and ate. Her decision, that affected her and every human since, was based not on God's Word, BUT on how she personally evaluated what God had done, NOT what God said. 6b She also gave to her husband with her, and he ate. 7 Then the eyes of both of them were opened, and they knew that they were naked; and they sewed fig leaves together and made themselves coverings. 8 And they heard the sound of the LORD God walking in the garden in the cool of the day, and Adam and his wife hid themselves from the presence of the LORD God among the trees of the garden. Committing a sin may be done alone, BUT that sin very seldom exists in isolation. Another truth of the Word of God is that personal sin affects all those around the sinning person. they can come up with is leaves.